Adam Schefter defended Odell Beckham missing OTAs Tuesday morning on ESPN, saying that he’s doing the right thing. New York Giants’ star wide receiver Odell Beckham Jr. has yet to attend any of the teams OTAs this off season. Many have criticized him for it, but ESPN’s Adam Schefter is not one of them. Schefter went on ESPN radio Tuesday morning to explain his take on the situation. Schefter explained how he believed Beckham Jr. should remain absent from the teams OTAs, until he receives a contract extension. Beckham Jr. is set to make a tad bit over $1.8 million this upcoming season, which would make him grossly underpaid as one of the top receivers in the NFL today. Schefter also sighted how Beckham Jr. recently signed a new deal with NIKE, which was the richest shoe deal an NFL player has ever signed. NIKE’s deal will pay him $5 million a year, which is far more than he is earning with the Giants at the moment. 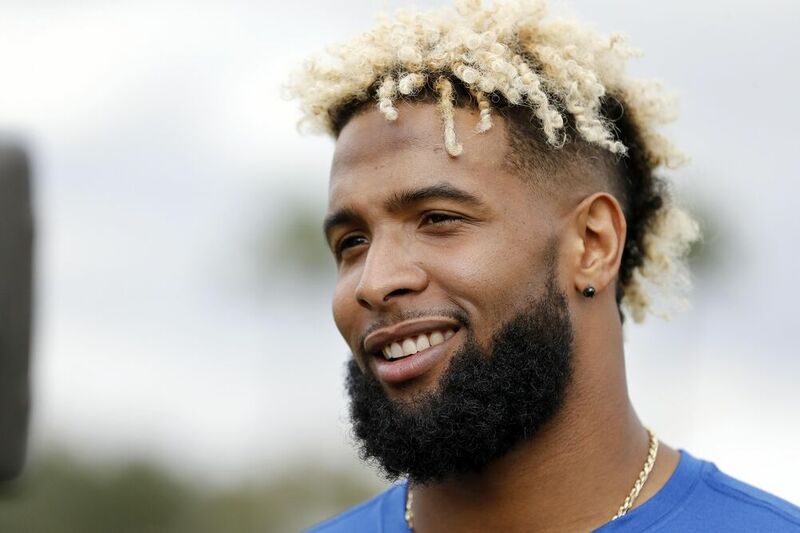 Schefter advises Beckham Jr. to continue to miss out on the team’s activities, since he is already making more money elsewhere, and deserves to be compensated by his team for what his stats the last few seasons say he’s worth. If Beckham Jr. were to attend OTA’s and sustain an injury, then it would greatly affect his chances at landing a lucrative extension. Trey Wingo who was also speaking to Schefter about the situation, reminisced on former Giants wide receiver Hakeem Nicks, who was in a similar situation years ago. Nicks was coming off two strong seasons with the team, including helping lead the team to a Super Bowl XLVI victory in 2011. Nicks attended OTAs and broke his foot, and lost a lot of money in the process. Beckham Jr. seems to be trying to avoid any injuries, so he can receive a proper extension with the team.